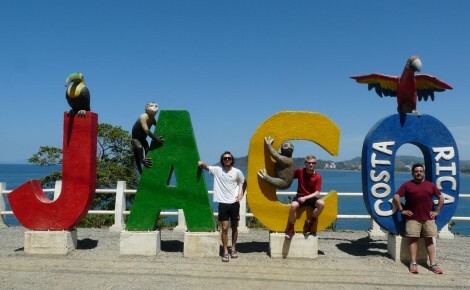 Riegel and Lucas Farmer ’19 spent their spring break in Bahia Ballena, Costa Rica, after receiving a Theory-to-Practice Grant to conduct research using a drone to map the land to help the community with environmental concerns. Information from the drone mapping can be used to construct plans for resource management and city planning. “I chose this connection because I was extremely intrigued by remote sensing in my Environmental Alterations course I took last semester. I also wanted to have some experience on how to navigate through a language barrier when I teach because I'm an education major. This also gave me the opportunity to mentor and listen to my professor more one on one and that's my learning style. What was your very favorite moment of the experience and why? “I learned many things like how to fly a drone, how to engage students in an activity that I made up myself, but the most interesting lesson I learned was how different the culture is in the U.S. compared to Costa Rica. Why do experiences like this matter?